I have been taking this vitamin ever since I was a preteen. I like knowing I am putting good into my body and I never miss a dose. After breakfast taking my vitamin is my normal routine. I've never taken any other brand because this one works and there is no reason for me to switch. These are the vitamins i am currently taking! they are easy to swallow for someone who doesn't have problems swallowing pills, they are big! so i don't know if it is okay to take for someone who struggles taking pills. they are easy on my stomach. there is no flavor either. 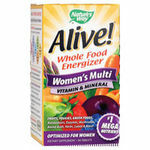 This multivitamin changes my health. After long time from having headache , pain in my bones, lazy can't do anything , daizy and can't even breathe well .Then the doctor recommended this multivitamin to me , really my health changes totally , I feel energetic and I can move without any pain , really thank you. I don't take this pill every day, about once or twice a week. Every time I took this pill, I feel dizzy and upsets my stomach. I took after lunch or breakfast and drunk enough water but still it made sick each time I took it. The vitamin itself works as a great balance to any medical regimen. The ingredients cover most daily vitamin needs while still avoiding conflict with the majority of prescriptions. Definitely a fantastic supplement for the upkeep of a healthy diet. However, the sheer size of the pill makes it a bit rough to swallow for those with underlying throat issues or difficulty swallowing pills. Take the vitamin with a half of cup of V8 Low sodium tomato juice it goes right down. Be careful when you take these. If you're a woman and you take vitamins, I would go with a prenatal to begin with. They have everything we need and more. However, before I knew that, I took One a day women. Now, I'm sure some people may have had a hard time with them; My sister did. She consistently took them with little to nothing in her stomach and they would make her nauseous or even vomit a couple of times. However, if you eat a meal before taking these vitamins, you'll do just fine. Also, make sure you drink plenty of water before and after. I really have no idea what is in them that could make you feel queasy, but if your stomach is easily upset, these vitamins probably aren't the one's for you. The reason I gave them a nine is because they always made me feel "healthier", I guess, while taking them. They did hurt my stomach a couple of times, but nothing I couldn't handle. All in all, not a bad vitamin. Not good for some, but not bad. Works great but the store brand is a better value. These vitamins are a great supplement to institute into your diet. I was definitely a believer in using this product and this product only, however, I have to say there are many comparable store brands out there from half a dozen retailers that have just as much bang for your buck and then some. Certain store brands are as much as half the price for the same amount of vitamins. All that aside though, if you are a One-a-day loyalist as I was all through my teens and into my twenties, these are a great vitamin. They are good for every day or even just every other day. I do recommend cutting them in half if you're not good with taking pills though. They are quite large. They also taste terrible as most vitamins seem to do so get them down quick. For me, they worked best on a full stomach or taken when I was eating. I tried these and several other kinds on an empty stomach to the same results. They just do not settle well if you do not have food on your stomach. Definitely not the type of vitamin you can simply chew up or swallow with a glass of water and go. They did help get my iron levels perked up as that is always a concern for me and as I always seem to do, I felt perkier when taking these vitamins. 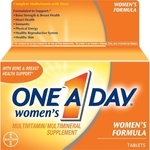 I believe they are a nicely rounded product for the every day woman and consumer. If you're older and looking for something for your breasts or vaginal health or joints or any thing in particular such as hair and nails, I do not recommend this product for those types of things. 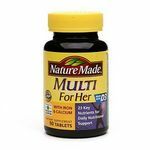 You may want to continue the search for vitamins specifically for those things, however, these are great for women of ages 16 - 50 in my opinion. I've taken them, my mother, and even her mother have taken these and they're a good addition to a healthy diet or even a diet and weight loss/management plan.